We’re working hard on our website to make sure it stays updated. We were notified recently that the link from Google had been sending you to an online pharmacy. While we work on fixing this link, keep an eye on our Facebook page for more information. 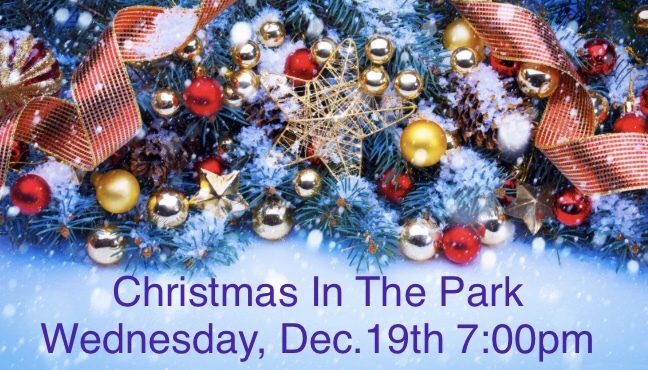 Once again we’ll be onstage at Christmas In The Park this holiday season! This coming Wednesday at 7:00pm, we’ll have a show that’s free for everyone to watch! Stage is located by the biggest tree in the center of the park. You can bring the whole family, come early for the famous hot chocolate, check out all the community trees, and ride the carnival rides! Make sure to get to the stage early as there is limited seating. Our Junior and Senior Rhythmic Movements, our littlest dancers, and some of our hardworking adults will all be performing that night. We are all so excited to have you come out and watch what we’ve been working on this season! It’s our last show of the year before Winter Break and then we start gearing up for the new year and the Big Summer Show! Happy Holidays from Tude’s School of Dance! Hello! We have been so busy getting this year started that we will be updating the website this weekend! Please call the studio with any questions. Thank you and keep on dancing!